"Lost your favorite photos from your Mac OS X? Just calm down! It's not an uncommon issue. If you have the backup copy on your Time Machines, just restore your photos from it! You don't have the backup copy! Then, you have lost your photos from your Mac OS X permanently and you can never get them back". This is what people say when you lose your photos and seek help from them. But, don't worry and thats not true! Your photos still reside on your Mac machines and can easily get them back. 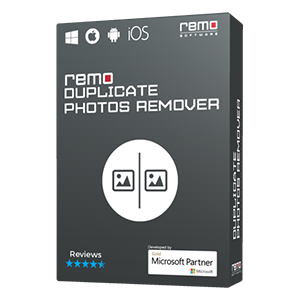 Luckily, you have Remo Recover tool which can perform photo recovery with in few minutes and can easily restore photos. 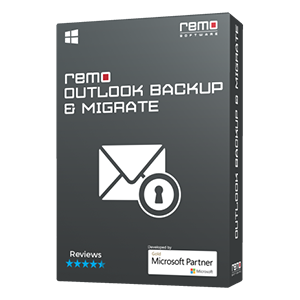 What makes Remo Recover Mac the best? Accidental deletion: Photos may get deleted by pressing "Delete All" button in the digital camera itself or while trying to delete unwanted photos and accidentally deleted others in the camera or in the computer. Formatting: Photos are lost either due to accidental formatting of the drive or you need to format it after getting Disk Initialization error. Improper operation / Mishandling: Photos can go missing when you switch off the camera abruptly during file transfer process or by using the same memory card in different digital cameras or pulling out the memory card while image processing is going on. Photos lost due to various other reasons: Virus attack, sudden power failure, capturing photos when camera is low on battery etc, are some the reasons that leads to loss of media files. How to recover deleted photos from Mac? Step 3: Once you launch the application, the main screen of Remo Recover will appear like the one shown here . Step 4: Now select the "Recover Photos" option from the main screen, as indicated in . Step 5: : A next window will appear with "Recover Deleted Photos" and "Recover Lost Photos" options,as illustrated in . Step 6: Choose "Recover Lost Photos" option, after which you will receive a window showing all the logical Volumes along with the connected memory card as a drive, which is shown in. . Select drive showing memory card as the connected drive and click "Next". Step 7:Remo recover has a special option to select only the required type of file and recover only those file types. You can make use of this option if you need only a particular type of file or else select "Mark All" option as shown in and click on "Next" to start the scanning process. Step 8: View the recovered photos with the help of "Preview" option. Step 9: Save the scanned information by using "Save Recovery Session" option, as it will avoid re-scanning of the drive again, refer . Step 10: Purchase the software, if you are content with the recovery results and activate it to continue the saving process by using "Open Recovery Session" option, according to . Additional Information: Sometimes, your Word document, PPT file, RAR file, etc, will get corrupted due to various reasons. Under all such situations Remo Repair software helps to fix damaged files with ease. Avoid saving new photos to the same memory card from which you lost or deleted your photos which avoids overwriting. Do not save the recovered photos on the same memory card from which you are recovering. JPG or JPEG file format are used to store large image files in compressed form. JPG files deleted or lost from camera or from memory card can be retrieved using Remo Recover software. View this page's content to understand the procedure involved in the JPG file recovery. If firmware corruption occurs in a camera then it affects the normal functioning of the camera, making the images inaccessible that are present in the internal memory of the camera. Remo Recover is the best ever application to recover photos after firmware corruption error. By reading this page, learn how to recover photos from a digital camera after firmware error. Memory cards are mainly used to store multimedia files like photos, music, videos etc. These files can be lost from the memory card either due to accidental deletion or formatting or any other corruption scenario. 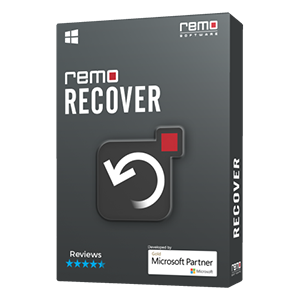 Using Remo Recover tool you can easily perform memory card recovery and restore all your files. Read further to know how you can perform memory card recovery. In case your hard drive does not boot up and prompts you message like "Disk Boot Failure", making all your files inaccessible. Then use Remo Recover software to recover those files. Understand here the detailed step by step guide on how to recover files from hard drive after disk boot failure. Photos gets deleted due to many reasons like by selecting the "Delete all" option in the camera, formatting the drive that contained your photo collection, during file transfer from memory card etc. At times when these kinds of situations occur, you can rely on Remo Recover for getting back your deleted photos. Read this tutorial to know the guidelines on how to recover deleted photos.